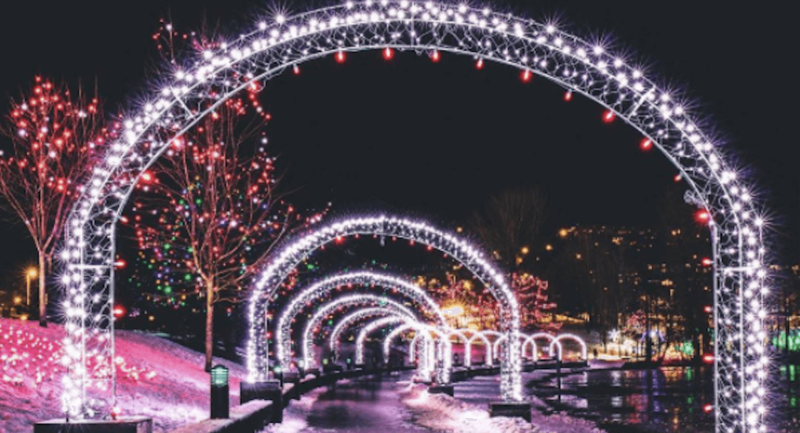 It’s one of the largest free light displays in the Lower Mainland and starting next month, hundreds of thousands of 100,000 twinkling lights will once again illuminate Lafarge Lake in Coquitlam as part of a magical display this holiday season. Known as Lights at Lafarge, the outdoor display wraps its way entirely around Lafarge Lake, leading visitors on a 1.2-kilometre loop through 10 themed zones. The fun returns on November 25, when the lights are officially switched on at 5:30 pm. The display is located just steps from SkyTrain’s Lafarge Lake-Douglas Station, and the lights will remain on from dusk each night until 11 pm, with the exception of New Year’s Eve, when the lights remain on until after midnight to help people ring in the new year. And yes, it’s safe to say this will be a prime location for your Instagram holiday feed. The display will run until January 21, 2018.